Professional hockey will return to Seattle in 2021, according to the National Hockey League (NHL), and a couple of the key players in the new franchise have ties to the promotional products industry. On Tuesday, the NHL board of governors unanimously voted to award the 18th-largest city in the US with its 32nd franchise. Investment group Seattle Hockey Partners will be owners. TPG Capital co-founder David Bonderman is the majority stakeholder in the group, according to Pitchbook. TPG Capital operates TPG Growth, which acquired Top 40 distributor HALO Branded Solutions (asi/356000) earlier this year. Hollywood producer Jerry Bruckheimer and longtime sports executive Tod Leiweke also own significant stakes. 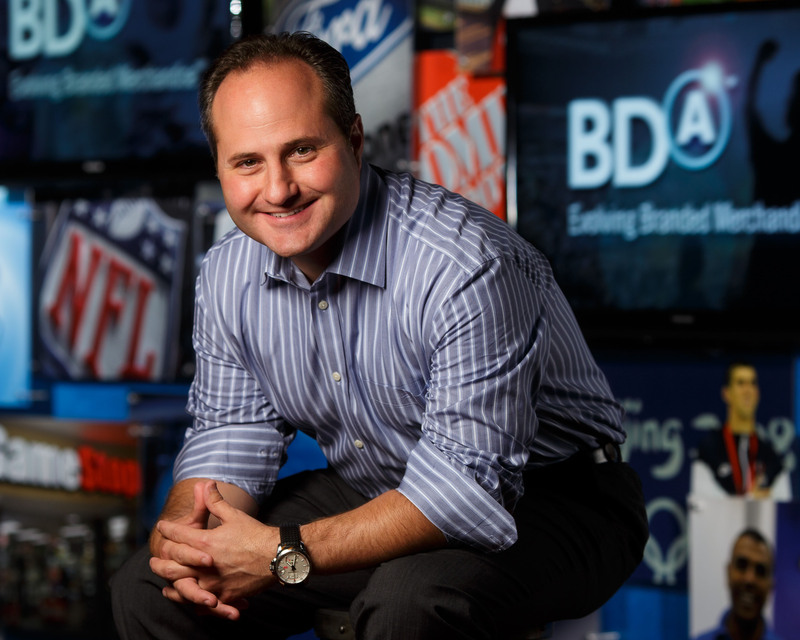 Jay Deutsch, CEO of Top 40 distributor BDA (asi/137616), is a minority owner. "When my business partner and I started BDA when I was 16 years old, it was based off an idea to create a platform for fans to demonstrate their love of the Seattle Seahawks," Deutsch told Counselor. "As we have grown this business over the last 35 years, we have had the honor of being involved in some of the most iconic sports moments, from Super Bowls to the World Series to World Cups and beyond. As an owner, I am proud to be in a position to demonstrate the love for my city and respect for the power of sport to galvanize a community by helping to bring NHL hockey back to Seattle." The launch date is a year later than Seattle’s group wanted, but will ensure that the renovation of home venue KeyArena – now pegged at $750 million – is completed on time, The Seattle Times reported. It also allows the group time to complete a $70 million practice facility and hold the expansion draft at KeyArena ahead of the (still nameless) team’s launch. The process for NHL entry into the Emerald City began in May 2016, when a 5-4 Seattle City Council vote blocked a bid by entrepreneur Chris Hansen, who subsequently relinquished his exclusivity rights to KeyArena. The Oak View Group (OVG) won the renovation rights in a bidding war last year, recruiting Bonderman and Bruckheimer as franchise owners to pay the $650 million tab for an NHL team. In March, the Seattle ownership group launched a season-ticket drive and said it reached 25,000 deposits within the first hour, ESPN reported. That exceeds the 10,000 deposits needed as part of the expansion evaluation process. NHL Commissioner Gary Bettman said Seattle had the three necessary components to win an expansion: committed ownership, a thriving market and a state-of-the-art venue. "Today is an exciting and historic day for our league as we expand to one of North America's most innovative, beautiful and fastest-growing cities," Bettman said during the press conference. The Seattle Metropolitans played in the Pacific Coast Hockey Association and won the Stanley Cup in 1917, the first American team to do so. The franchise folded in 1924. The city had several teams in the decades after, most notably the Seattle Totems, who competed in the Western Hockey League before spending their last season in the Central Hockey League in 1975. In addition to over 40 years without a major league hockey team, Seattle has not had a winter sports team since the NBA's SuperSonics left for Oklahoma City in 2008. With reported 2017 North American promotional products revenue of $346.5 million, BDA ranks fifth on Counselor's latest list of the largest distributors in the industry. Original story published in ASI Central.